For the second time in two weeks T-Mobile has announced taking the top spot in a JD Power survey, this time for highest ranking in retail customer satisfaction. This is the third time T-Mobile has taken this award and I can certainly say that every time I jump into a T-Mobile store, the staff almost always impresses me. Congrats Magenta, now lets talk HSPA+ devices rolling out mmmkay? Today’s honor from J.D. Power and Associates is the latest accolade demonstrating that T-Mobile continues to set the standard for retail sales satisfaction in the wireless industry. In each of the dimensions for which the study measures customer satisfaction, T-Mobile scores above the wireless industry average. These dimensions include sales staff, price/promotion, store facility and store display. The following results are indicative both of T-Mobile employees’ commitment to customer satisfaction at retail locations, and of the value customers receive at those locations. Today, T-Mobile earned the highest ranking in the J.D. Power and Associates 2010 Wireless Retail Sales Satisfaction StudySM Volume 2, the third consecutive highest ranking for T-Mobile in that study. Sales staff. T-Mobile scores above the industry average in this dimension that measures customer satisfaction with the courtesy, speed and knowledge of retail sales employees. Price/promotion. T-Mobile scores significantly above the industry average in this dimension that measures customer satisfaction with the competitiveness of devices and service plans, as well as the attractiveness of price or product incentives. Store facility. T-Mobile ranks highest in the industry, and significantly above the industry average, for this dimension that measures customer satisfaction with retail stores’ cleanliness, layout, convenience and variety of devices available. Store display. T-Mobile ranks highest in the wireless industry in this dimension that measures customer satisfaction with the accessibility and ease-of-use of in-store displays, informational materials and demonstration units. Results of the 2010 J.D. 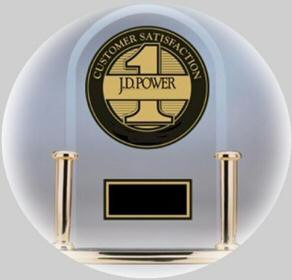 Power and Associates Wireless Retail Sales Satisfaction StudySM Volume 2 are based on 7,972 Internet survey interviews conducted between January 2010 and June 2010. ← Wait…Project Emerald Is BOTH The G1 Blaze And myTouch HD? Too bad they can’t seem to get a good line up signature smartphones……. :-( I would rather see that than these honors………..BLEH! It’s okay they have a “secret launch” coming……….All will be okay I’m told. Well spill the beans man!!!!! I personally think that froyo is mislabeled guys. Follow my thought process. 3.0 is Gingerbread. I’m still waiting for 2.2 on my Mytouch. I’ll probably have my new phone before it gets released for it anyway. Root your phone and go with the Froyo from Cyanogen. I was leery of the entire process as well… but I could not be happier. Battery life is better, speed is increased and the phone is so much more usable. Release the Kraken on Andrew! I must say the service is quite impressive. I have had quite a few problems resolved by just using the T Mobile live chat feature. As for the retail stores, the ones located away from inside a shopping mall seem to be the best. With the lack of decent phone makes you have to wonder how they are getting awards. I’m hopeful something decent comes soon but just incase I’m keeping my options open when my contract ends in just over 1 month. my contract has been over a year ago. I am just patiently waiting for one of these super android phones coming in september. I dont think i will be able to wait till novemeber for the dual core phone. I am so done with my blackberry. Never cared for the blackberry and especially not after I tried the pearl. I have enjoyed the G1 but it’s now time for the next device and hopefully these “rumored” super andriods is well worth the wait. yeah i bought the g1 when it was first release, but after 6 months I couldnt stand the ridiculous battery life. Which was why I switched to blackberry. I sorta regret it. Blackberry is reliable, and amazing in battery, but I have realized Im an android guy. And yes, hopefully its worth the wait. As long as its an htc android phone with 2.2, 4 inch screen, snapdragon and doesnt have that horrible mytouch slide skin. Im sold. Me too. I hate to think about leaving T-Mobile…..I’ve been with them since 2002 when they were transitioning into T-Mobile from VoiceStream. But T-Mobile’s inability to attract high quality phones like (Sprint’s HTC Evo 4G, AT&T’s iPhone and Verizon’s “Droid” line of phones) is making me highly consider jumping ship when my contract is out in November. I’m tired of the cheap, crappy looking kiddie phones (MyTouch line of phones.) YUCK! Like you said better battery life since it stops the constant sync with mobile backup and other stuff. Press the genius button and say “driving mode on”. This activates a really cool feature that reads you txt messages aloud to you and you can just say “reply” and then say the message and it will send without you ever having to touch the phone. Pretttty snazzy, also some other enhancements to G button. Also some fixes and “enhancements” to faves that I have not figured out yet. Oh and you can send MMS messages while on WiFi….for those 14 people who had that problem. While T-Mobile can’t talk about it, let’s also not forget Consumer Reports and what it says about T-Mobile! To avoid accusations of its ratings being for sale or that it harbors bias’s Consumer Reports forbids businesses from using its ratings and reviews in any business articles or advertising. That’s why you sometimes see CR referred to as a “leading consumer magazine” when companies wanted to advertise about a high rating from Consumer Reports. Sidenote: CR tried to put a stop to that too because everyone knew that “a leading…” was code for CR. And worse, there were phony magazines where you could buy a high rating and still say “a leading consumer magazine” misleading people into thinking it was CR giving the rating. Anyway, what T-Mobile can’t release or advertise is that in the September 2010 CR issue, the following comments were made. The article also says what is important to look for in a smartphone. The list is interesting in that this is what thousands of Consumer Report members and cell phone users say is most important to them when buying a phone. So all of you talking about this and that is important to you, compare that with this list and the conclusions drawn by CR. It’s what the manufacturers and carriers do (compare) and what they use when designing new models. 1. A big, sharp display. A 3-inch or larger display is all but standard. Some…even hit 4.3 inches… With screens also getting sharper you need to do less squinting or zooming. And many touch screens now have multi-touch. 2. A decent camera. Resolution of 3MP is now the norm with many models offering 5 MP and a few boasting 8 MP. A majority of rated models have flash and some have more advanced features such as manual ISO and face detection. Some phones now shoot high-def (720p) video. With Evo and Droid X you can pipe videos and photos to a TV set via HDMI cable (Comment: the Vibrant has a dongle that converts the microUSB to and HDMI out port). 3. Easy social networking. Some phones now allow you to integrate many particulars (to social networking) into a single entry and allow you to post photos and videos directly to your Facebook or Twitter account. You’ll need to consider the merits of the carrier or carriers as you decide on a phone. Verizon, home to some fine Android phones, is the most satisfying carrier in our reader surveys. And T-Mobile is among the standouts in customer service. AT&T, the only carrier that offers the iPhone, is among the lowest-scoring carriers in reader satisfaction, as is Sprint, home to the Evo 4G. Differences in plan costs will probably be more important over the life of the typical two-year contract than what you actually paid for the phone. As a rule you can expect to pay at least $60 a month for voice, texting and data… For heavy data users Sprint and T-Mobile offer some of the best deals. Our survey found that cell phone shoppers were generally more satisfied when they bought from retailers that carry a number of phones, such as Best Buy or CostCo. Had some spare time to write a novel here, eh. When I can upgrade my 3-year-old non-subsidized phone for the same price as a new customer can get, I’ll believe these bogus surveys. Do what I do threaten to leave till the transfer you to the resolution area and then BAM you get an even better price then a new customer. corporate stores noramlly give the same price to new customers ill give a beter discount to customers that are already with us if their nice. What gets me also, is that AT&T is the No.1 Carrier in the country mainly due to the Apple iPhone4. But it consistanly ranks last in customer satisfaction. I don’t get why people would want to put up with the lousy customer service, the high rate plan, being charged if you go over you limit and everything else associated with it just to say “Hey I’ve got an iPhone”. I think a lot of it is drivin by the “Cool factor”. This way you can impress your friends and family by saying you have an iPhone, and ohh by the that way what kinda phone do you have? It’s the same where you want to have the nicest house on the block, the hottest car. It’s about you, and what it says about you. You may have the Vibrant (I know I do) and have a great plan, have great customer service and all, but then they’ll still tell you, “Yeah but it’s not an iPhone”. But remember this when you leave this world and get to the pearly gates you can’t enter by just saying “Hey let me in because I’ve got an iPhone”. They’ll tell you leave it outside. LOL… True that. Also, I’ve lately been noticing that iPhones are getting so common, that the “coolness factor” of having one is fading. Nowadays, it’s like, “so you’ve got an iPhone; big deal!” I mean, how “cool” can you be if you have the exact same phone as so many other people? And how “cool” can you possibly be if your main reason for getting an iPhone is just to have others think you’re cool just for having one (and flaunting it)? They put up with it because they have a phone people want. If should show you how much people are willing to tolerate to get something they want. True… But I’d never switch carriers just for a phone. If the service isn’t good (and they nickel & dime you to death on top of that), then having the coolest phone ever wouldn’t really matter. A phone is really only as good as the network it’s on; otherwise, it might as well just be an iPod touch or something like that. I don’t really care about these survey’s and it’s obvious the majority of the nation doesn’t as well. If they did, AT&T wouldn’t be one of the top cell providers in the country with rumors of it taking the top spot. Well I don’t understand that if people will “Put up” with crappy service for an iPhone then dose that mean that if Tmo gets the iPhone then they can raise your rates, give you crappy service, cap your usage, charge for overage, just so people can have the infamous iPhone? So if someone was to give you and iPhone for free, but on one condition is that they can spit in you face everyday, would you take it? Obviously plenty have done exactly that………..common sense is not something everybody has. People are satisfied with T-Mobile’s customer service. That isn’t why they are leaving for other carriers. It’s the products not customer service we’re most interested in. Your right ob18. It seems that people don’t care how good customer service is, or that the rate plans are the best out there. They just want a super phone that will have a quad-core processor that will give them 24/7 free unlimited internet at 50gbs download over 4g with no throttling. The phone has to have at least a 21mb slr camera that has dual zeon flash, 2 terabyts of intnerna memory with the abbilith to at another 2 terabytes. It has to record and shot 2160p videos. A front faceing camera, a 5 inch SAMOLED screen. A infinate battery life, and all this for only $50 bucks a month. i am still with t-mobile mainly because of the rates but customer service is not far behind it. my biggest gripe for years with t-mobile is when will they ever step up their game and put out better phones rather then let everybody pass you by especially with andriod devices. i’ll go with a quote from the movie Tommyboy about buisness “either you’re growing or your dying, there ain’t no 3rd direction”………With t-mobile finally rolling out a new network so late others will pass them by again in the not to distant future, getting passed by with new phones, the lack of marketing any of their products, & the lack of finding ways to get more contract customers is a bit of a concern for me going forward. Hopefully somebody lights a fire under them and all this changes. ..wait you mean this wonderphone you just described doesn’t exist? YOU TEASE!! HOW DARE YOU GET MY HOPES UP!! Who would want the Droid Incredible with it’s stinking 8-megapixel camera when the Garminfone is everything anyone could ever dream of. Not only can it show you how to get home from your favorite grocery store but it has killer body styling that leaves men drooling and women breathless. Just wait if it doesn’t have flash or a front facing camera. That will set a ton off for some reason. Your right Acaciastrain. Some people just want it “All”. it’s how many people are they want it all and want it now and will do anything to get the best, keep the best, & pay for the best. You think T-Mobile plans would get expensive if they start investing more money on superphones? Congrats to T-Mobile! Putting Customer Service first, which is what you are SUPPOSED to do when you are in a cell phone business. I guess the people who are willing to sacrifice good customer service for a Superphone don’t mind living in a home were the developer/contract company sacrifice the build quality just to have marble floors and stainless steel appliances. Is it just me, or am I missing something here? Yeah, in many (if not most) cases, that’s probably it. Some people only care about the iPhone and are pretty much blind to anything else, like in that hilarious video made by that guy who got fired from Best Buy because of it (if you haven’t seen it, please do. It had me laughing so hard I was crying! “It has a bigger screen.” “I don’t care.” “It can create an island, transform into a jet and fly you there.” “I don’t care.” “I want the one with more GBs!” “Do you even know what that means?” LOL Classic stuff…). I don’t know the title of it (sorry), but it should be easy to find in YouTube somewhere. Anyway, I think it sums up pretty accurately the mindset (or mindlessness) of many of those who seem willing to put up with damn near anything just so they can have an iPhone. No, what the people over at Verizon are saying is “I wish I could dump my Droid Incredible and switch over to T-Mobile and pick up one of their to-die-for Garminfones. The 170,000 net loss customers who said goodbye to T-Mobile in the first half of this year obviously have it all wrong. Just to piggy back what you guys are saying about the iphone…why the heck do people want to have the “fashion statment” of having an iphone when for A) everyone has one and B)it has changed very little since it first came out like 3 years ago and C)it drops call?? When looking at a total customer decline of 93,000 in the second quarter on top of 77,000 net customer losses in the first quarter of this year people can lie to themselves and stick their heads in the sand ……. or they can ask why customers are leaving. People can bad mouth AT&T and iPhone 4 all day but the bottom line is they can’t keep up with the demand. T-Mobile on the other hand has bragging rights on the Garminfone. Every bodies raving over good customer service, but it wasn’t enough to save 93,000! iPhone is stable and easy for the non-geek to use on day 1. Plus, the high cost of it works like a Polo shirt. Nobody buys a Polo because it is the best deal. Head-to-head, invariably there’s some nice app an iPhone user will hold up that isn’t available on android. Ok, this is RETAIL satisfaction, fine, but anybody still pulling the mail-in-rebate scam in 2010 is clearly not putting the customer’s best interests at heart. Lol, I would settle for a garmin phone if the upgrade price wasn’t $175. The good folks complaining about cell phone reception in San Francisco can blame local government that throws up road blocks to new cell towers. Yes, I agree with all of you guys.. How about better Smartphones lol. Getting frustrated seen more of the same thing over and over, missing front cameras. Missing Flashes , missing support , missing offers for long time clients. I really hope they can keep up with better smartphones. Other than that i have no complains..